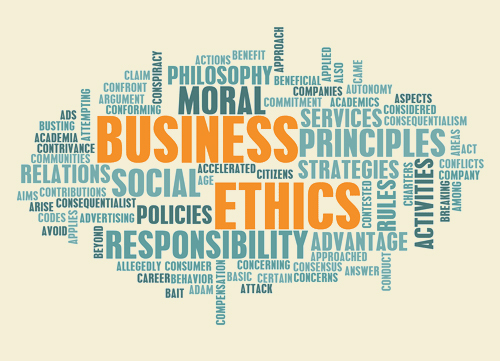 At Lee Massage & Acupuncture we pride ourselves our ethical conduct and honest practies. All of our clinics must adhere to these standards which are clearly outlined below. 1.1 Practitioners conduct themselves ethically and professionally at all times. 1.2 Practitoners render their professional services in accordance with holistic principles for the benefit and wellbeing of patients. 1.3 Practitioners do no harm to patients. 1.4 Practitioners have a commitment to continuing professional education to maintain and improve their professional knowledge, skills and attitudes. 1.5 Practitioners respect an individual’s autonomy, needs, values, culture and vulnerability in the provision of complementary medicine treatment. 1.6 Practitioners accept the rights of individuals and encourage them to make informed choices in relation to their healthcare, and support patients in their search for solutions to their health problems. 1.7 Practitioners recognise their limitations and the competence of other healthcare professionals, and when indicated, recommend that additional opinions and services be sought. 1.8 Practitioners treat all patients with respect, and do not engage in any form of exploitation for personal advantage whether financial, physical, sexual, emotional, religious or for any other reason. 2.1 The practitioner will not enter into an intimate or sexual relationship with a patient. 2.2 The practitioner will not engage in contact or gestures of a sexual nature to a patient. 2.3 Mammary glands and genitalia of a patient will not be touched or massaged and only professional techniques applied to surrounding tissue. 2.4 Any internal examination of a patient, even with the consent of the patient, is regarded as indecent assault which is a criminal offence. 2.5 Any approaches of a sexual nature by a patient must be declined and a note made in the patient’s record. 3.1 The practitioner will abide by the requirements of State, Territory and Federal privacy and patient record law. 3.2 The practitioner shall honour the information given by a patient in the therapeutic relationship. 3.3 The practitioner shall ensure that there will be no wrongful disclosure, either directly or indirectly, of a patient’s personal information. 3.4 Patient records must be securely stored, archived, passed on or disposed of in accordance with State, Territory and Federal patient record law. 3.5 Appropriate measures shall be in place to ensure that patient information provided by facsimile, email, mobile telephone or other media shall be secure. 3.6 Patient records must be properly maintained with adequate information of a professional standard. 3.7 The practitioner must act with due care and obtain consent when conveying a patient’s information to another healthcare professional. 3.8 The patient has a right to be adequately informed as to their treatment plan and medicines, and access to their information as far as the law permits.